Feng Shui. It is something typically associated with West Coast billionaires, eccentric hipsters, and Chinese people. But what is it exactly, and how does it work? Well, Feng Shui is an ancient Chinese philosophy which states that energy must flow through buildings and the world naturally, and that humans must intrude on this energy as little as possible in order to maintain a nice, harmonious, serene environment. However, despite many scientists dismissing Feng Shui as a pseudoscience, it is a very important aspect of Chinese architecture, with many building in Hong Kong and Beijing designed by Feng Shui specialists. If you want to make sure that your house is peaceful and serene and that only good energy flows through it, here are five tips to get your house aligned with the earth’s natural, mystical forces. 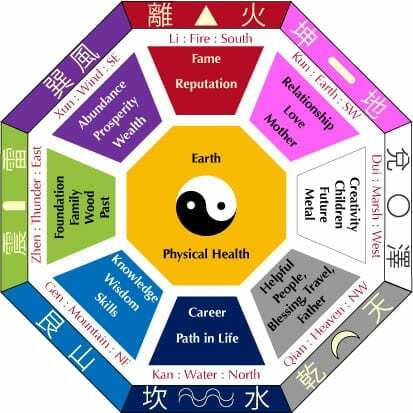 The Bagua is basically a Feng Shui compass. It tells you from which direction what energy comes from along with what that energy is correlated to. For example, energy coming from the north typically corresponds to water which corresponds to career path. This might mean that you will want to put a little fountain or a picture of water on your north wall in order to help align the Feng Shui. Additionally, this will help you determine what NOT to put in a certain corner or wall of your living room, as putting the wrong talisman may change how the energy flows around the room. One of the ways for inviting good energies into your home or living room and keeping out jinxes is by making sure that your furniture faces the entranceway to your living room in some way. This way whoever is sitting on the couch doesn’t have to turn or stand up in order to see who came in. In addition to being good for guests, it is also helps good energies flow. The purpose of Feng Shui is to enhance comfort and relaxation while facilitating the ability for everyone to be able to feel like they have enough space. In the practice of Feng Shui natural light is key. It is important to have big windows which can let in as much natural light as possible along with mirrors which can then bounce around that natural light. 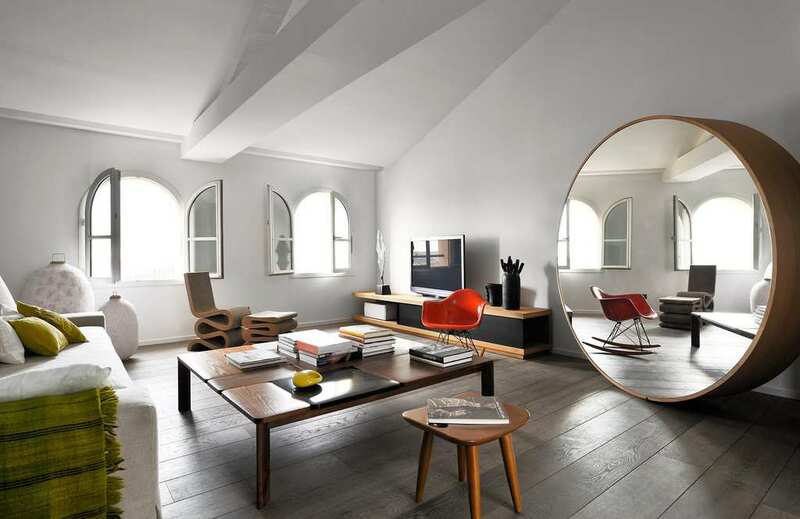 Mirrors also have the added advantage of being able to make a room seem bigger and more spacious and therefore much more relaxing. Corners – specifically table corners, corners on bookcases, and fireplace corners – are super unlucky in Feng Shui. They create a ton of negative energy which shoots out from these corners. While corners are unavoidable (unless everything is built in an oblong shape), you can avoid putting seating areas in direct firing range of these negative energies. You know how frustrating it is to walk around or even sit in a room or living room which is simply full of clutter. This is actually the negative chi energies affecting you from the mess and overbearingness of too much furniture. 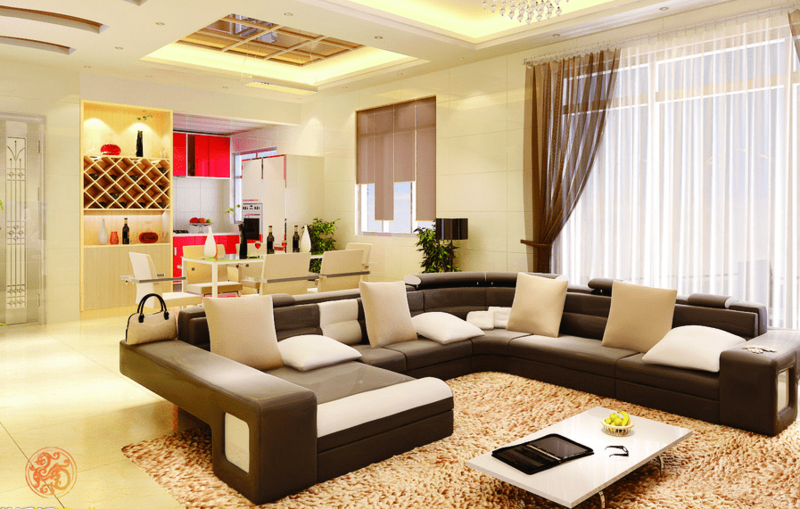 In order to mitigate this, it is best to use furniture which is more simplistic yet aesthetically pleasing. No one like being confronted with a room which seems like is exploding with stuff.